Candid, yet encouraging, Jamal Christmas’ message is one of overcoming limitations and finding power and positivity through a stronger spiritual life. As he shares in his message, once you have connection with God, you can be Superhuman. Start to free yourself from the Kryptonite of unwanted limitations brought on by the negative/positive experiences of your past. Find out what it really means to be created in God’s image and how to begin intentionally living from that power. Jamal shares his experiences and insights he gained once he began to surrender to the possibility that who he was in God was a being of tremendous capabilities and experiencing his true heritage as a son of God, correcting the religious concept he held about God, and embracing these amazing revelations, leading to a deeper truth from Spirit within and ultimately, transforming all aspects of his life. Having a good grasp on these concepts will totally revolutionize your whole Christian/Spiritual experience. When you truly understand what God is and who you are in connection with that truth, then being able to truly access the life you and God desire will become more than a fictional story created for one’s entertainment. • What it feels like to be weakened from the limited view he held about God. • What it’s like to be caught up in a force of thinking that seems so relentless, feeling trapped inside its grip. • When I began to surrender to the possibility that who he was in God was a being of tremendous capabilities, and started to experience a true heritage as a son of God . • When I started to correct the religious concept I held about God, deeper truth from Spirit began to awaken within me. • When I started to embrace these amazing revelations about who I was and about who God is, then all aspects of my life transformed. Roy L. Cunningham is a minister, consultant, and founder of Kingdom United Ministries. Author of The Go Factor, Roy is passionate in believing every believer has a ministry God has equipped them for. Roy has served as church administrator, executive pastor, and senior pastor. In 2012, the Holy Spirit led Roy to put all he had learned into a curriculum call the Great Campaign and a workshop called the “Go Factor”. Roy lives in Indianapolis, Indiana. The Great Campaign is a church wide process used to assist Pastors and church leadership in helping equip the saints for the work of the ministry. Centered around discipleship, ministry, and evangelism Roy’s workshops will help participants gain clarity on how God desires to use them and help church leadership show the several functions of a healthy church, a worshipping church, a witnessing church, and a working church. It is a workshop for church leadership with 45-60 ministers. The Go Factor is a workshop focusing primarily on ministry and evangelism. The Go Factor is for believers who may not have found their place in ministry or for the believer who wants to feel more confident in evangelism. The Go Factor teaches that God expects every believer to use his or her gifts, talents, and abilities for the Kingdom of God. The King’s Men Project is centered around helping churches build strong, vibrant Men’s Ministries that will play a major role in the discipleship of men and boys. TITLE:" Finding Strength Beyond the Crutches of Life"
"I used to be a person who always blamed others for my lack of achievements in life. However, after hearing and gleaning from Dr. Palmer's rebounding principles, I have now taken ownership of my life and have 'put up my crutches!'" "All I can say is WOW! It is now that I realize that my pain is actually not a problem, but it is a partner!" "God NEVER allows you to suffer LOSS without GAIN being on His mind!" Sherman E. Flucas II is an athlete, soldier, coach and passionate mentor to youth and young adults. As Co-Founder of Next Level Sports Youth League, Flucas also coaches high school football and teaches Life Skills at Washington Township School District in the Indianapolis area. A Graduate of North Central High School, he was a varsity athlete in three sports, and attended University of St. Francis with a double major in business administration and ministry. He served with the U.S. Army from 2010 to 2014 including a tour in Afghanistan. He now serves his community through teaching young people through excellence in sports. The Next Level Sports Youth League- Reach, Teach and Transform encourages fair play to enhance recreational skills and to build self confidence through sports mentorship education and sportsmanship. What is LDRSHIP? LOYALTY, DUTY, RESPECT SELFLESS SERVICE, HONOR, INTEGRITY, PERSONAL COURAGE. As a soldier serving in Afghanistan in Operation Enduring Freedom, Sherman realized these characteristics serve as the foundation for a productive life and they could be duplicated by others to create an unmistaken change for the greater good. Drawing on stories of triumph with proven guidelines that are historically confirmed Sherman will inspire you to maximize your leadership qualities to get that next promotion, lifestyle bonus, or state championship, and leveraging comradely, positive feedback from peers into an overflowing abundance of wealth to pour into your colleagues, teammates, co-workers, and coaches. From the words of Hall of Fame Coach –Eddie Robinson “Leadership, like coaching, is fighting for the hearts and souls of men and getting them to believe in you.” The success and failures of all may rest on one or many decisions so on the road to success you don’t have the luxury of many choices, only the correct ones. In this session you will come out with a renewed vision, motivation, and determination to transform into the greater version of you. This presentation is ideal for Millennials, inspired professionals, student athletes and/or coaches interested in improving both their personal or professional life with new levels of confidence, assuredness, and assertiveness techniques. Although third in the line of James Paynes, he tops the charts at Number #1 when it comes to his enthusiasm for serving others. It shows up in his skills and experience in hospitality gleaned from Disney Institute training, a Hospitality Certification from IUPUI’s Hospitality and Tourism Department, and working Indianapolis’ showcase events such as Super Bowl XLVI, Indianapolis Colts, ExactTarget, Major League Baseball National Non-For Profit, and the Indianapolis Airport. It’s no surprise that James has even appeared on “Mike & Mike”, ESPN Sports Show training Indianapolis Colts rookies on etiquette and grooming. You may have caught him in an episode of Parks & Recreation, The Agent, or in a men’s fashion ad. When he’s not teaching others how to serve people, James enjoys mentoring with EDGE mentoring, an organization that sharpens the influence and impact of emerging leaders, professionally and spiritually. Faith, Family and Fun is how James prioritizes life. Whether you are preparing for a professional interview, or professionally representing your team or organization, basic etiquette skills will boost your confidence and instantly set you above the competition. Learn what’s expected and appropriate in various social and professional situations and emerge as the most confident person in the room. Do your truly know what your guests experience? James shares his expertise from the other side of the counter as a concierge and hospitality professional with techniques and tips to raise your guest’s encounter from standard to outstanding. “The Colts have always, since I’ve been here, done a really good job of preparing guys for transitioning in from the day we draft our guys,” said David Thornton, director of player engagement, Monday afternoon at Lucas Estate. Terrell Sarver educates audiences on the what, when, where, how, and why of credit and finance. As a financial literacy expert and business finance broker, he has helped individuals, churches, and businesses learn to build, retain or repair their credit scores and maximize their financial opportunities. Terrell believes that credit and finance are the economic engines that affect everyone, and when people are informed and educated about finances, they have the tools to make decisions that will lead to their success, whether it is getting a loan, buying a home or starting a business. His presentations are appropriate for college students and young adults, young professionals and those overcoming addiction or incarceration working to regain their independence. He shares the keys to becoming credit worthy with his audiences and helps them develop action plans to build credit and reduce debt. He is certified through Neighbor Works Training Institute to provide housing and credit counseling, and is active in community development. Terrell is the author of Be Your Own Credit Counselor and the managing editor of the men’s spiritual collaboration, Transformed, Powerful Stories of Eight Men Changed by the Hand of God.  As an ordained minister, he educates and advocates for a return of the strong male role model in families through his organization BeMen, Inc. offering spiritual, financial, emotional and physical resources for those seeking to live as true MEN. Do you know who can see your credit score? Do you know everything that is included on it? What can you do to improve or repair your credit score? These questions and more are covered in Be Your Own Credit Counselor. Learn the ABC’s of establishing, maintaining and repairing your credit status and managing your money more effectively. This presentation provides an overview of credit management including; How credit bureaus work, how credit scores are calculated and misunderstood credit laws. The workshop option gives participants step-by-step guidance in determining, and building or repairing their credit score. As a business owner, securing working capital can make or break your business. This presentation outlines the availability and types of loan products available to start ups and small businesses, how to obtain working capital, and why many small businesses are denied financing. This presentation is ideal for ALL small business owners looking for working capital or business loans. Did you know your book is a gateway to a speaking career? Establishing yourself as an expert and professional speaker means you can reach a broader audience while sharing your message and making an impact to educate, entertain or encourage. Once you are an author, it’s only a matter of implementing a few more steps to take your message from the printed page to the stage. This presentation is geared to men interested in becoming a published author and professional speaker. 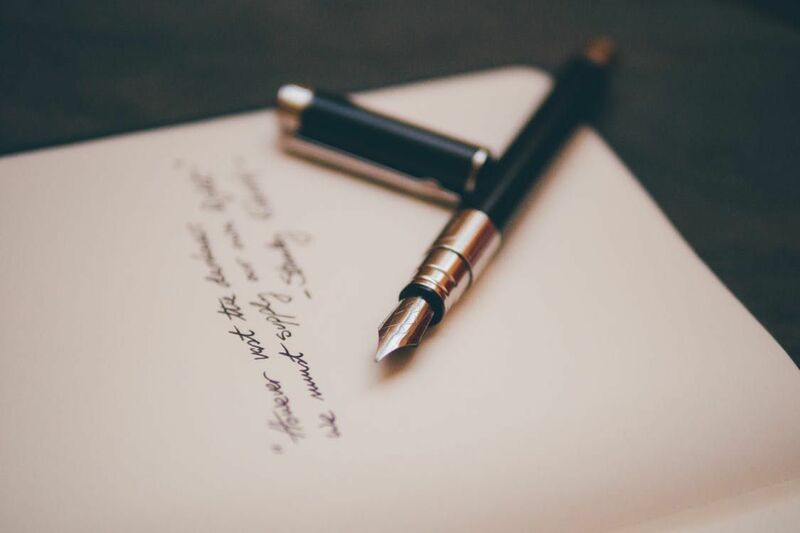 Whether you are an author or aspire to be one, this presentation outlines the steps to establishing expert status, developing a target audience and leveraging a book into speaking engagements. The workshop option guides participants through creating their speaker platform, media kit and topics. For those who have dealt with addictions or are in reentry, the future may not seem as bright as everyone tells them it will be. Many men don’t know what to do first and without a plan they may go right back where they were. In this presentation, they will learn to set goals, get their finances in order, avoid people, places, and things that will get them off course, and learn to be successful alone first, without a woman! Mr. Basketball, MVP and Pro Basketball Player Ray Tolbert asks the tough questions and shares his story of getting into the best shape of his life. Ideal for small business functions, IU fan events, and churches, Ray addresses the physical, mental and spiritual aspects of life; how he found himself out of shape, the moment it triggered his awareness, and the things he had to do to get it back. Discipline – Are you willing to do what it takes? Do you what it takes to be disciplined? Ray shares his techniques for staying motivated by identifying and gravitating towards positive people. Audiences will learn his tips for maintaining a winning attitude always, which includes concentrating on strengths and improving on your weaknesses and to ultimately win the crown of life. This presentation is ideal for young athletes, high schools, businesses, churches and associations as a keynote or event wrap up. Keith T. Jones started in his garage with a dream, a computer, a desk and a copier. He used faith and works to manifest his heart’s desire by being an entrepreneur. Seven years later, he is still producing for his clients on a daily basis. This man of God has a passion for small business startups. He believes small business is the life line of our country and God has given him the ability to assist others to start their business. Pastor Keith T. Jones is the founder of Life Restoration Church established 2013. God called Pastor Jones to restore the lives of God’s people through the word. As a business owner in the printing industry since March 2010 he has plethora of knowledge to share with everyone that wants to start a business. Most future entrepreneurs have a problem with gathering information as well as someone coaching them through the difficult problems with being a small business. Pastor Jones offers individual consulting for startup and coaching for existing business owners to become successful.